Retreating a little from this place on the same side of the street there is a place where sometime the Jews, that, of old, for a long time together, were suffered to dwell amongst us in most of our chief Cities, kept their residence; being housed in this street and in the lane by it, from thence to this day called Jury-Lane, the same (I take it) which of old I find called Little-pet-lane. There was of their houses hereaway to the number of almost 20. All which, together with their Synagogue, or (as more frequently called) Schola Iudeorum, their School, upon their generall banishment out of this and all other parts of the kingdome in Ed. 2 daies (at what time their number amounted unto 16511) as confiscate, escheated to the King; and by himwere eftsoones, some of gift, some otherwise alienated, some to one, some to another, but he most (to the number viz. of at least 12. and a void piece of ground which was Communitatis Iudaorum Civitatis, ie. the Jewes in common) to the Monks of Christ-Church. Their Synagogue or School stood about where now some part of the Saracens head Taverne doth, as appeares by the Records of Christ-Church. Which have this bound to certain see of the late Monks hard by it, viz. Terra i parochia omnium Sanctorum inter magnum vicum qui est versus Aquilonem, & scholam Iudsorum qua est versus Austrum, juxta venellam quitur a pradicto magno vico versus sanctam Mildritham: being ground (I take it) whereon the forepart (to the street ward) of that which is now the Saracens head Taverne, being in show newer then the back-part, was afterward built. To which ground the very next house above (the Mitre) is bounded Westward, and called domus juxta scolam Indeorum, this explained in the Rentall, viz. Domus lapidea que est contra terram ubi scola Iudeorum sita est versus Occidentem. By all which I collect and verily conceive, that the now Stone Parlour of the Saracens head, mounted upon a Vault and ascended by many Stone-steps (as the Jewish Synagogues and Schooles were alwayes built aloft) is the Remaines of a good part of that which was our Canterbury Jewes Schoole or Synagogue. 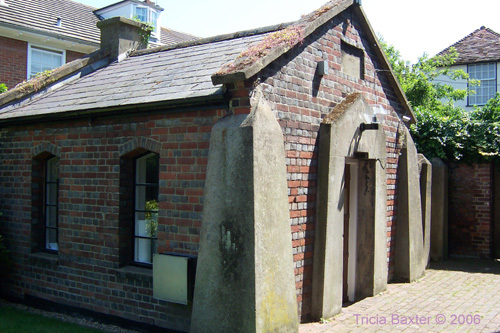 Opinion sought whether toleration should be given for Jews to trade in City "Canterbury City Council Meetings 1818-1828"
In the ancient city of Canterbury, the Jews settled as early as 1730, and soon after that founded a synagogue. The names of the founders cannot be ascertained. 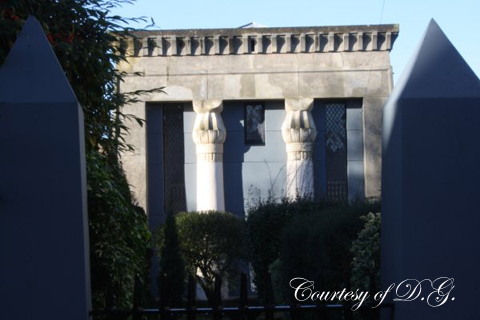 The synagogue was built in St. Dunstan's and stood nearly a century. In the month of December, 1846*, the whole Jewish congregation assembled in it for the last time, as arrangements had been made to take down the building. An eye-witness thus describes the scene "A feeling of deep solemnity, mingled with profound regret, pervaded the assembly; many had within this fane lisped forth the first prayers of their infancy; had here given God thanks for the joys of their manhood; and prayed for the alleviation of the sorrows and cares of their old age; and when the service was concluded, and they were about to quit for ever the sacred precincts where they had so long adored the Most High, many a moist eye testified to their deep emotion, and many a longing, lingering look was cast behind." The Jews of Canterbury, who are all rich and respectable, did not remain long without a synagogue. 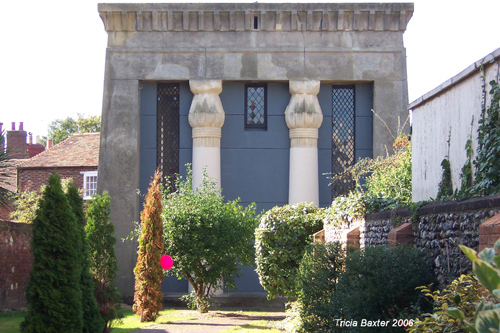 In the month of September, 1847, they invited Sir Moses Montefiore** to lay the foundation stone of a new synagogue. And what is most curious, the site of the new synagogue is a spot once occupied by the Knight Templars, the most virulent enemies of the Jews; and the Israelites are now rejoicing in the place, the sight of which filled their soul with horror." Westgate and its bridge are the boundary of the city jurisdiction; in the broad street without is the prison for the east part of Kent; not far from it the Jews, who reside chiefly in this part of the suburbs, have a synagogue; and at the end is St. Dunstan's church, a larger and fairer building than most in the city. 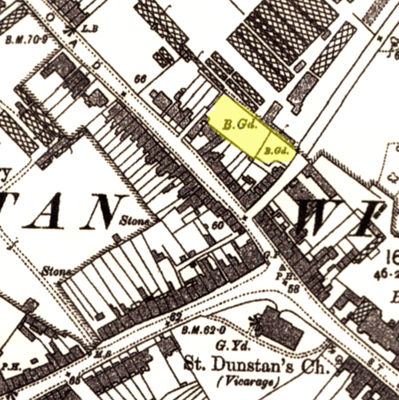 "In St. Dunstan's Street, on the north side, is the Gaol for the Eastern Division of the County; and on the same side, somewhat nearer to West-Gate, is a Jews' Synagogue. The number of Jews is about 400, most of whom reside in this part of Canterbury." "....Seven churches in Canterbury have been demolished at successive periods. 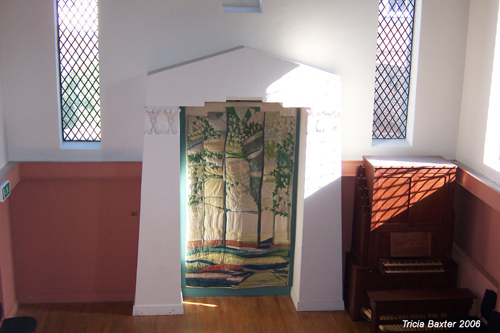 There are likewise places of worship for Presbyterians, Methodists, Anabaptists, Quakers, and a Jewish Synagogue. The number of Jews in the city is computed at 100." The power of purchasing their freedom was allowed to English born Jews in 1829. "The Jews' Synagogue, now in course of erection, is situated at the north end of King Street. It will be a handsome building of the Egyptian order, measuring 27 feet by 40 feet and built of brick with a stuccoed front. The site of this edifice is interesting as having been formerly the property of the Knights Templars, who had a hospital here; afterwards there was a chantry founded here by the Black Prince; now thereon is being raised a Jewish Temple. Such are the mutations of time. 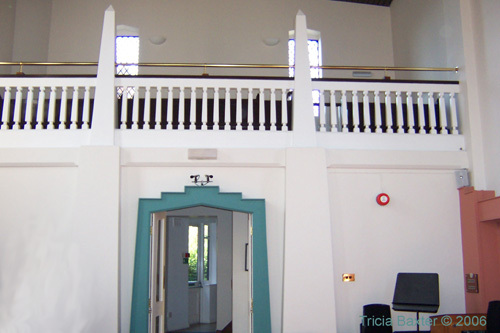 The cost of the structure will be about £1,000." *a specific type of bath designed for the purpose of ritual immersion. The word mikvah means collection (a collection of water). The existence of a mikvah is considered so important in Orthodox Judaism, that they are required to build the mikvah before the synagogue. "A new Jewish synagogue has been erected in King Street, Canterbury, in substitution of the old synagogue in St. Dunstan's, razed for the approach of the railway terminus. It has been executed in something less than a year, the ceremony of laying the foundation stone having been performed towards the end of September last. The site must have been anything but encouraging; the architect, Mr. H. Marshall, has, however, managed to make a pleasing approach to it. The building is purely Egyptian. The front, built in imitation of granite, has a pyramidal form, about thirty feet high, with two columns, having elaborate capitals. The width of the building is twenty seven feet, by forty feet long. The doorway is in a deep recess. The ark, the main attraction, is very beautifully worked in imitation of veined marble, the columns on each side being enriched with the lotus leaf. Over the ark are portions of the Decalogue, and still higher some dazzling stained glass, with the works in Hebrew "Know before whom thou standest!" The reading desk is in the centre; and behind that, and immediately over the entrance door, the gallery for the females, which, as usual, is barred off. 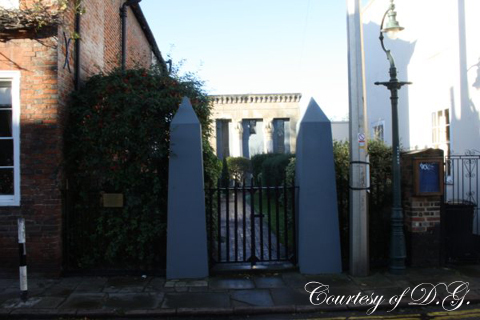 Carrying the same style throughout, the gallery is supported by obelisks. The windows, of which there are one on each side of the ark, and three in each of the sides of the building, being of a long, narrow description, impart a peculiar softened light to the interior. On one side of the ark is also a prayer for the royal family, handsomely executed, and which has been presented to the congregation by the nephew of the Rev. I. Cohen. The entrance, with the flooring of the reading desk, and the approach of the ark, are neatly covered with carpeting, and the body of the building with matting. The ceremony of consecrating this newly erected place of worship took place on Tuesday the 19th of September. Dr. Adler, the chief rabbi, officiating on the occasion, assisted by the Rev. Mr. Cohen, of Dover, and other members of the Jewish priesthood. Sir Moses Montefiore, Bart. was present, and took part in the ceremony by depositing the scrolls of the law in the ark. Dr. Adler preached a sermon in English." "The Jews of Canterbury were never so numerous as those of London, York, Lincoln, Cambridge, and other cities, but they were evidently an influential section of the community during the greater part of the twelfth and thirteenth centuries. 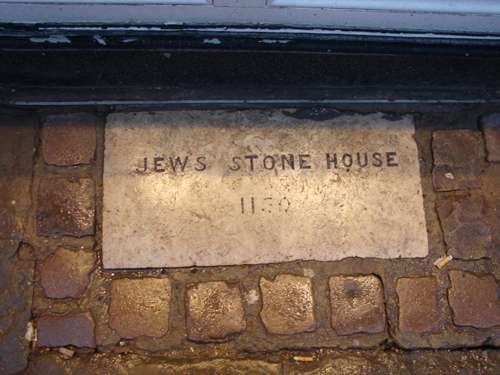 The Jewry, or Jew's quarter, was situated near High Street and White Horse Lane, and a part of the old synagogue, or, perhaps, of the local school, existed until quite recent times in the stone parlour of the old Saracen's Head Inn. Nothing, however, now remains to distinguish the Canterbury Ghetto beyond the name of Jewry Lane. The early history of the Jews in Canterbury is fragmentary and obscure, but it is quite possible that the city itself is referred to in one of the most beautiful passages in mediaeval Jewish literature, written by Abraham Ibn Ezra, the "Rabbi Ben Ezra" of Robert Browning's poem, a celebrated Spanish Jew who visited England in the year 1158. The work in which it occurs was written in London, but it is clear that the passage refers not to London, but to some city in which he had sojourned on his way, and Canterbury is the one in which he would be likely to make his longest stay. It runs thus: "It was in the year 4919 (1158), at midnight, on Sabbath eve, the 14th of Tebeth (December 7th), that I, Abraham Ibn Ezra, a Spaniard, was in one of the cities of the island called the "corner of the earth" (Angle-land, or England), for that it is the last of the seven divisions of the inhabited earth. And I was sleeping, and my sleep was pleasant to me. And I looked in my dream, and behold, beside me stood one in the semblance of man. And he spake unto me and said: "Take this letter that the Sabbath sendeth unto thee." And I bowed down my head and worshipped the Lord and blessed the Lord....And I laid hold upon it with my two hands, and my hands dropped with myrrh. And I read it, and in the beginning it was as honey for sweetness....From the day that I knew the lord....."
At present the habitations of the Jews, who are very numerous in this city and it's suburbs, are mostly in the parish and street of St. Peter's, and in the suburb of Westgate; in which latter they have a synagogue, and a some distance farther westward, a burying ground, as has been already mentioned more at large in the History of the County." *At the further end of this suburb, on the right hand, at the entrance of the road to Whitstaple, is a burial place for the Jews; and another, not far from it, for the Quakers. Mr. Somner, p. 65, says, their synagogue or school stood about where then some part of the Saracen's Head, now the King's Head Inn, stands, as appeared by the record of Christchurch, in which it is this bound to certain see of the late monks hard by it. The land in the parish of All Saints between the great street, which is toward the south, nigh a lane which leads from the above street towards St. Mildred's, being that ground, as he took it, upon which the forepart to the streetward of that which when the Saracen's Head tavern, being in shew newer than the back part, was afterwards built, to which ground the very next house about (the Mitre) was bounded westward, and called the house nigh the school of the Jews. Thus explained in the rental; the stone house which is over against the land where the school of the Jews is situated towards the west. ......and immediately over the entrance door, the gallery for the females, which, as usual, is barred off. 1290 Edward I. expelled the Jews from England. There is a Royal Charter in the Cathedral Archives of 1291 granting the Jews lands in Canterbury to the priory and lists the names of the Jewish landowners. The cemetery is beside the Friends Burial Ground.